Three nights. Three nights of sanding. Of scraping with a scalpel. Of painting. Re-sanding. Re-scraping. Re-painting. 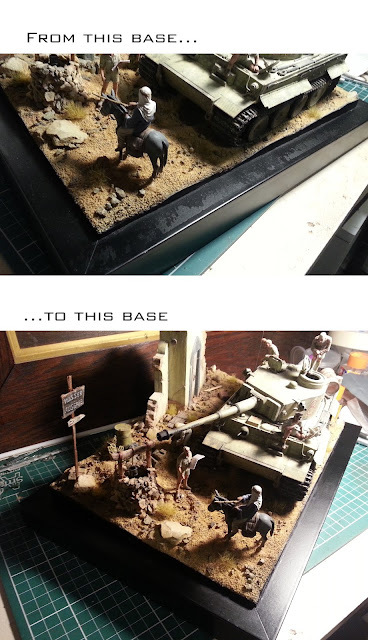 Finally I'm happy with the base frame of my diorama. There's a modelling group on facebook that I am a member of, The Scale Modelers Critique Group. They have a running hashtag of #fixthisshit - improve it, make it better, don't settle for second-best. After this diorama sat "finished" on my shelf for the last six months, and the dodgy frame niggled at me every time I saw it, I have finally #fixedthatshit.